ANU study asks if the Earth is getting too hot to handle? 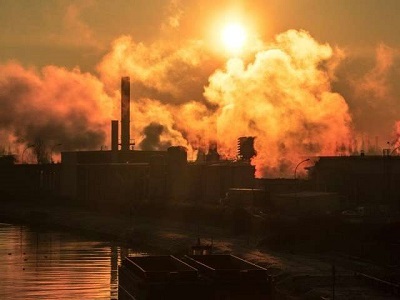 The rising global temperature will further increase the risk, tipping the entire Earth system into a new mode of operation, according to study co-author Hans Joachim Schellnhuber, director of the Potsdam Institute for Climate Impact Research. The melting polar ice, increasing deforestation and rising greenhouse gases are indicators that the Earth is moving towards a dangerous hothouse state. If the planet fails to achieve its green objectives, the Earth will pass a tipping point resulting in higher average temperatures and rising sea levels. These are some of the conclusions of a new study conducted by scientists at the University of Copenhagen, Australian National University and the Potsdam Institute for Climate Impact Research in Germany. 'Hothouse Earth' would cause flooding of rivers, higher sea levels from the melting polar ice caps, extreme devastation in coastal communities and destruction of coral reefs, with global temperatures exceeding those of any interglacial period. Hothouse Earth will make places on the planet completely uninhabitable. Even a 2 degree Celsius increase in global temperatures over pre-industrial times would hasten the way to the tipping point, say the researchers. The planet is already past the 1 degree Celsius mark and heating up at a rate of 0.17 degree Celsius per decade. Higher average temperatures could also cause wildfires, further making the planet hotter and drier, building up carbon dioxide and increasing global warming. A change in lifestyle is just what the doctor ordered for the inhabitants of Earth. Replacing fossil fuels with low or zero-emission energy sources; adopting more strategies for absorbing carbon emissions; and introducing soil management, better farming practices, land and coastal conservation and carbon capture technologies among others are some of the solutions. However, the planet is unlikely to remain stable even if humans stopped emitting greenhouse gases; the current situation could trigger other Earth system processes, driving even more warming and causing permafrost thaw, deforestation, loss of northern hemisphere snow cover, sea ice and polar ice sheets. Some of the potential tipping points include weakened carbon sinks; permafrost build-up; forest 'dieback' mainly through land-clearing fires; and the rapidly shrinking polar sea ice. Being interconnected, the collapse of one could trigger the others.